Nepal must freeze for next 50 years the number of seats in House of Representatives, National Assembly and Provincial Assembly. The aim of this article is to determine the right number of Parliamentary and Province Assembly seats in the country on the basis of population census 2011. Article 286 (5) of the constitution provides for a Boundary Delimitation Commission to determine electoral constituencies in each province, with population as prime factor and geography as secondary factor. While doing this, at least one electoral constituency shall be ensured in each district. The constitution envisions a House of Representatives with 275 members: 165 members to be elected through a first-past-the-post (FPTP) system; and 110 members to be elected through proportional representation with the country considered a single constituency. Employing the two methods, the following results were obtained. 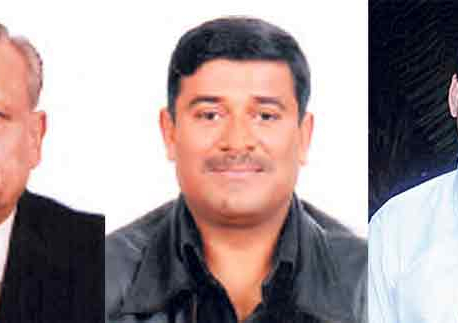 First, on the basis of current constitutional provisions, 20 Tarai districts will elect 78 FPTP seats in the House of Representatives. 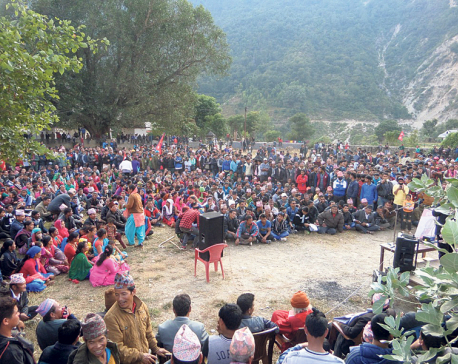 If Nepal adheres to strictly population basis, these Tarai districts will gain six seats and will have altogether 84 seats. Under current provisions, mountain districts will have altogether 17 seats with at least one seat for a district; these districts will lose six seats if Nepal adheres to population only method. Hill districts will currently have altogether 70 seats with at least one seat for a district. There will be no effects in this belt even if Nepal adheres to strict population basis. At the province level, Province II and III will gain two and one seats, respectively, based solely on population size, while Province IV and Province VI will lose two and three seats, respectively. There will be no effect in Province I and Province VII, whichever method they adopt: both methods produce 28 seats in Province I and 16 seats in Province VII. The population-size only method requires adopting ‘tolerance levels’ for minimum and maximum population permissible per constituency. We may adopt three scenarios: 10 percent tolerance level, 15 percent tolerance level and 20 percent tolerance level. Theoretically, the lower the tolerance, the higher the likelihood of fair and just apportionment in House of Representatives in terms of population size. This strategy, however, calls for redistricting large number of existing administrative and geographical boundaries. If we adopt 10 percent tolerance, altogether 41 districts (28 districts with minimum population size/per constituency and 13 districts with maximum population size/per constituency) will require redistricting. If we adopt 15 percent tolerance, 31 districts will require redistricting (20 districts with minimum and 11 districts with maximum population size per constituency). If we adopt 20 percent threshold, only 21 districts (13 with minimum population size and eight with maximum population size per constituency) will require redistricting. As per the present constitution, there will be eight seats from each province in the National Assembly. If we adopt population-only method, a total of 56 members will be apportioned: 10 from Province I, 11 from Province II, 12 from Province III, four from Province IV, 11 from Province V, three from Province VI and five seats from Province VII. If we adhere to this method, the current provision of inclusion for women (at least 3 women from each province), Dalit (at least one from each province) and disabled persons or minority (at least one from each province) cannot be met, as some Provinces IV, VI and VII will have just 3-5 seats. According to the constitution, total number of seats in all provinces elected through FPTP will be 330, with 220 of them via proportional representation. Considering current constitutional provisions, the total number of Assembly members would range from 37 in Province VI, 53 in Province IV and VII to as high as 110 in Province III. Population-only method would further reduce the number of Assembly members in small Provinces like Province VI and number of seats would increase in Province II, III and Province V.
There will be altogether 884 electoral college seats for the election of the President and Vice-President. The majority of them will be from large provinces. The uneven size of Province Assembly, House of Representatives and National Assembly is likely to increase if we adopt population-only method, with far-reaching implications on the geo-polity of Nepal. Sparsely populated districts and provinces in western hills, western mountains and far western region would feel cheated in sharing political power at the center and this could lead to provincial conflicts for years to come. Having population as the only delineation criteria will call for redrawing of already established geographical boundaries and thereby create new conflicts. Therefore, it is safe to adopt a method that considers both geography and population for allocation of Parliamentary and Province Assembly seats. Finally, if we are really going to restructure the country at the three levels—Union, Provincial and Local levels—as envisioned by the constitution, the criteria for delimitation of constituencies as well as duration of re-delimitation must be fundamentally different from the one in a centralized state that we are used to. Frequent alteration of constituencies will bring instability. In India, the Parliamentary and State Assembly seats have been frozen up to the first census to be taken after 2026. This means that the Parliamentary and State Assembly seats in a state shall remain unaltered for more than 50 years (1971 to 2026). Only within a state does India’s Delimitation Commission redraw Parliamentary and State Assembly seats every 20 years. Following the Indian experience, Nepal must freeze the number of seats in House of Representatives, National Assembly, and Province Assembly for at least 50 years, starting 2011. This calls for amendment of the constitution and of the provision of re-delineation. The current provision of re-delineation of House of Representative seats and Province Assembly seats every 20 years must be revised. It must rather say that altering of the seats among the provinces can take place only after for 50 years, or not until 2061.